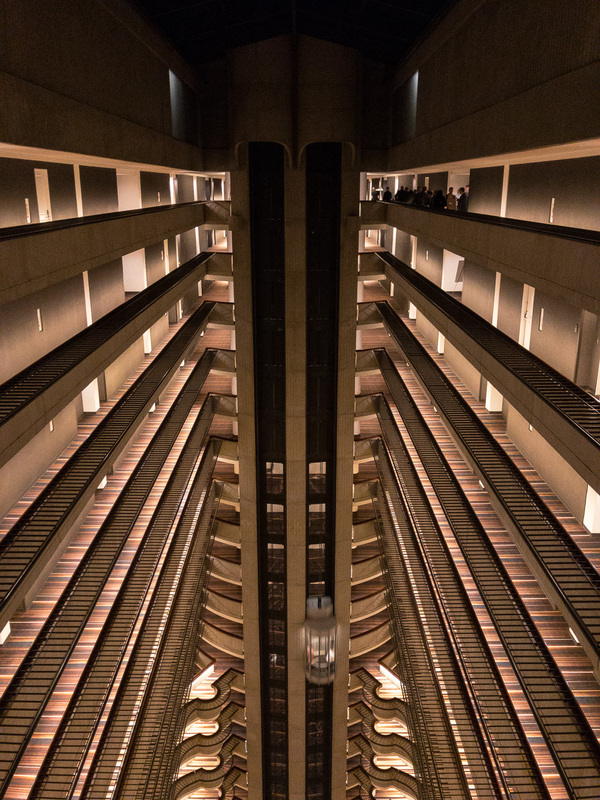 I was in Atlanta on work for a few days and the Marriott Marquis hotel was the center of a lot of the events I was involved with. I had not been to this hotel before and I had no idea what it looked like. Externally, it looks a little different but not particularly interesting. However, the interior is a very different story. For a while when I was first in there, I didn’t realize just how dramatic it is. Then I looked up! 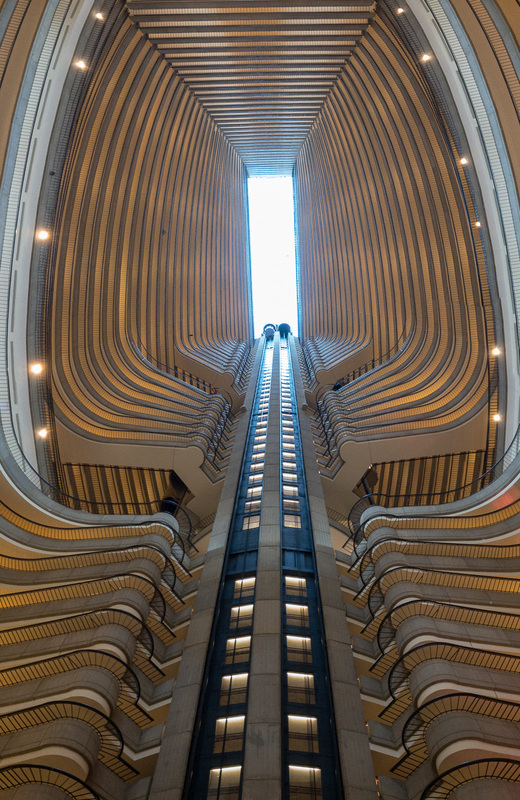 The atrium runs the height of the hotel and the floors gradually taper in towards the top. The curved patterns of the floors look like the ribs of an animal. From the ground looking up, it is amazing. There is an area in the lobby with a small roof so you can be under there and have no idea. Then you step out and have a “wow” moment. From the top floors, looking down is just as incredible. If, like me, you are not partial to heights, it is rather scary. I did have to look though. 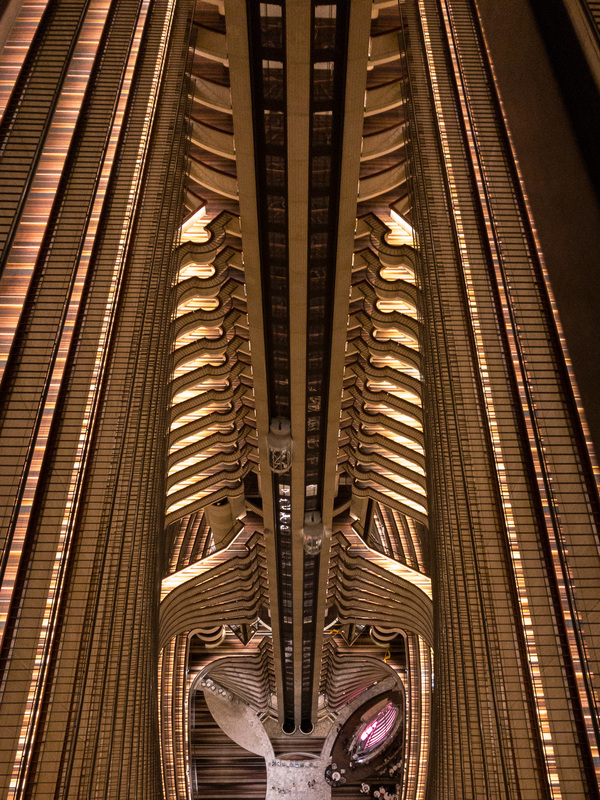 This entry was posted in photo, Travel and tagged architecture, Atlanta, hotel, Marriott Marquis, photo, travel. Bookmark the permalink.